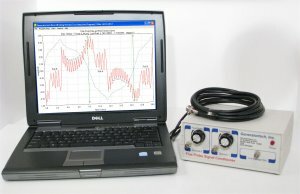 The Generatortech Model 9610 Portable Analysis System has been the data collection and analysis “workhorse” for the rotor shorted turn detection field since the late 1980’s. Available with or without a portable laptop computer, the system comes packaged in a rugged, wheeled carry case for maximum protection and portability. The Generatortech Model G50 Remote Analysis System is the latest development for rotor shorted turn detection providing for 24/7 continuous data collection. Using the same, time-tested, Generatortech Data Acquisition and Analysis Program that our portable system uses, the Model G50 is a rack mounted system designed to simultaneously monitor up to four generators. A generator’s flux probe is permanently connected to the G50 which can be accessed via Internet or your company intranet using a secure VPN connection. The G50 allows test data to be acquired automatically and/or manually. Your staff no longer needs to travel to distant power stations for testing. Generatortech will provide contracted services to be responsible for your regularly scheduled testing and analysis via the secure VPN connection.